Narrow cut poms feature 3/16" wide cut streamers available in numerous different lengths and colors. Styles are determined by streamer counts. Made from waterproof, shed-proof and fade resistant materials. Plastic pompons - narrow cut: Made of bright, plastic material in sports colors. 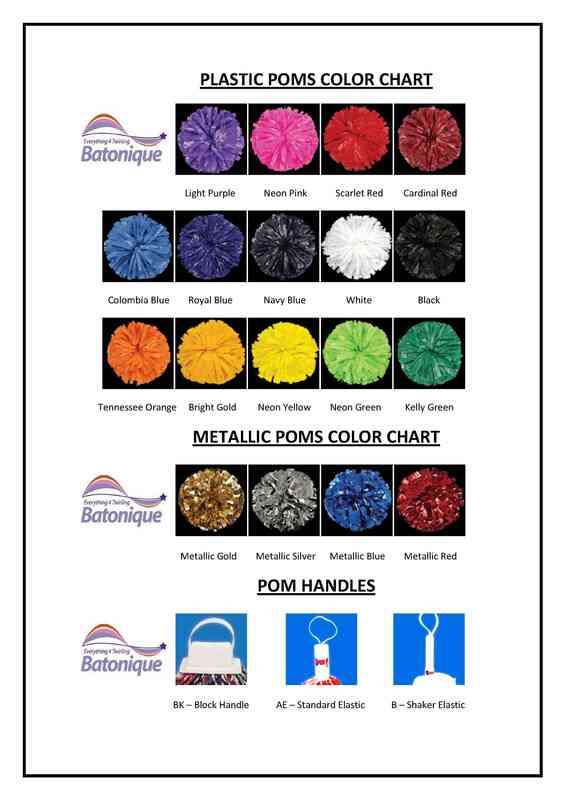 Metallic pompons - narrow cut: Made of bright, metallic material in sports colors. All poms are completely waterproof, shed-proof and fade resistant. There are different handles from which to choose.